There are NO hidden extras for the perfect stress-free ceremony. No minimum or maximum number of guests. 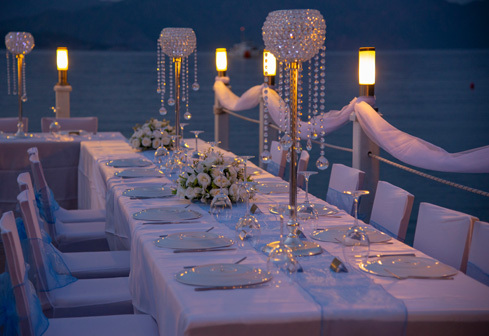 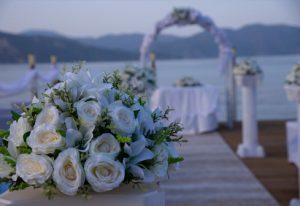 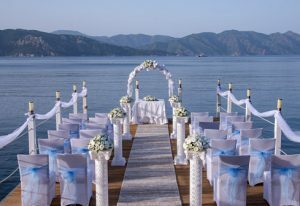 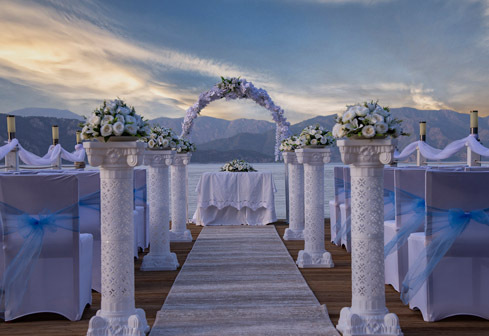 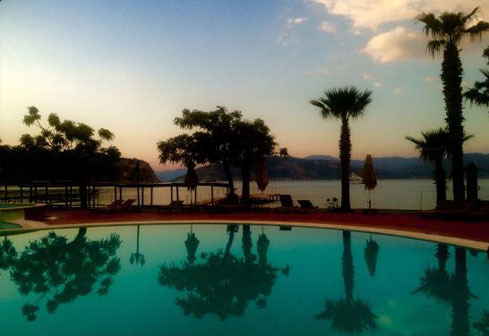 Exchange your marriage vows on one of the most beautiful private beaches in Marmaris. 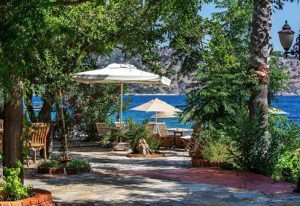 Marmaris beach sits between two valleys and creates the image of a secluded paradise. 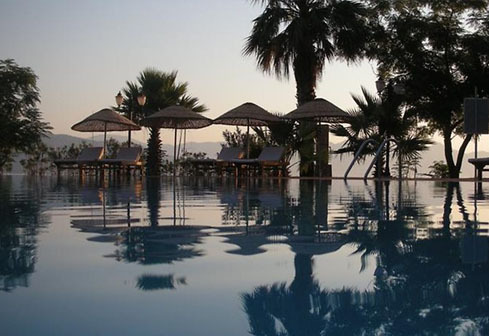 Due to the picturesque location, the area has a wide range of activities for families and is also known for its lively nightlife in the centre of town. 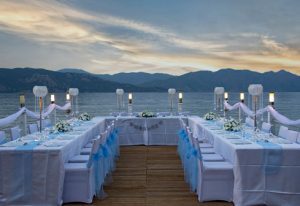 Marmaris sits in a valley between pine-forested mountains and clear waters, which are popular sailing and diving destinations. The wedding takes place at the end of an exquisite wooden pier, overlooking the rolling sea, with a panoramic view of the surrounding area. 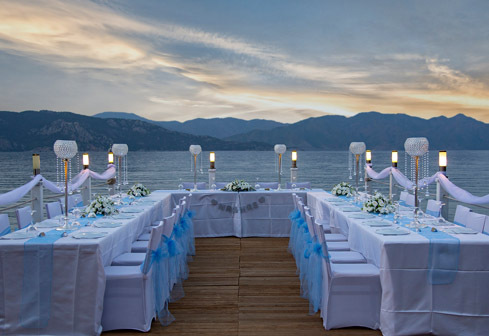 In such a spectacular and romantic location, this is a perfect venue for your dream wedding.